Sundials and hourglasses were two of the earliest ways humans developed to mark the passage of time. As better technology has emerged, we’ve all but dropped these reliable gadgets in favor of fancier, more accurate timepieces. 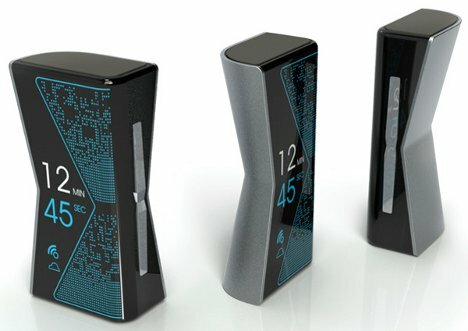 But some designers are bringing back the old standbys in unusual and impressive ways – these are hourglasses and sundials with a 21st century twist. The hourglass goes digital in the SandTime wristwatch, a very stylish timepiece that displays either numbers or a digital representation of falling sand on its face. 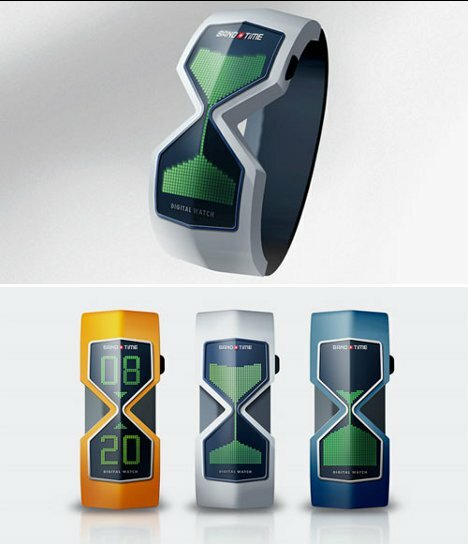 And unlike strapping an actual hourglass to your wrist, this option actually looks quite cool. The same concept is at work in the KWID watch, but this one is aimed at keeping kids aware of the passage of time. By giving a graphic representation of time passing (i.e. 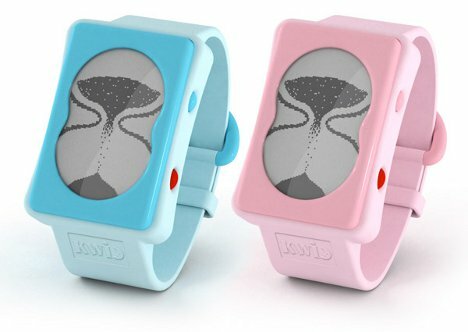 falling sand) and including the option to view the time in number format as well, the watch teaches kids how to tell time on their own. 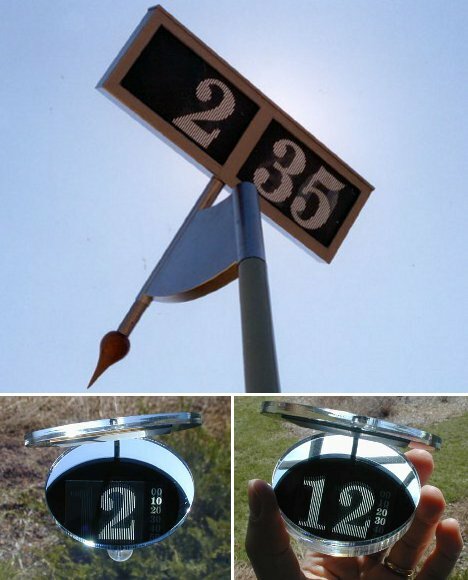 Old-fashioned sundials display the time by casting a shadow on a number. These elegant digital sundials display the time by letting the sun shine through two specially-designed filters which result in numbers being displayed on the sundials’ faces. The brilliant designs are sold in both northern and southern hemisphere varieties to give accurate time readings no matter where you are in the world. Using a small hourglass to tell you how much time is left until that pot roast can come out of the roasting pan is cute and everything, but it won’t exactly shake you from your TV-induced reverie. 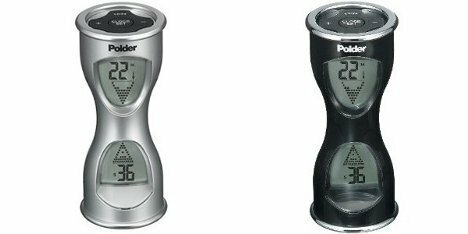 For that, you need these digital hourglass timers, all of which combine the aesthetic of an hourglass with the convenience (and sound capabilities) of a digital timer. The next time you’re baking cookies and the bottoms get a little blackened, you won’t be able to blame it on not hearing the timer. 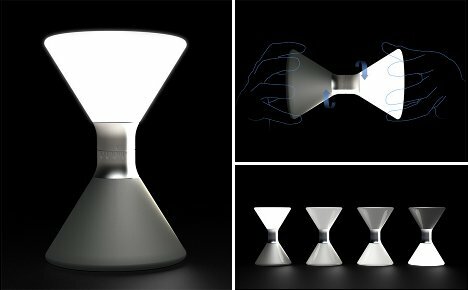 The Hourglass Lantern is a rather abstract version of the 21st century hourglass idea. It is a lamp that starts out lit on the top half and the light “trickles” to the bottom. Although it probably won’t help you keep track of time in any precise kind of way, it is a lovely rethinking of the ancient design, recasting it into a different type of role in the home. The Digital Sundial is a wall clock that strays from the expected hands-inside-the-frame configuration of a clock. 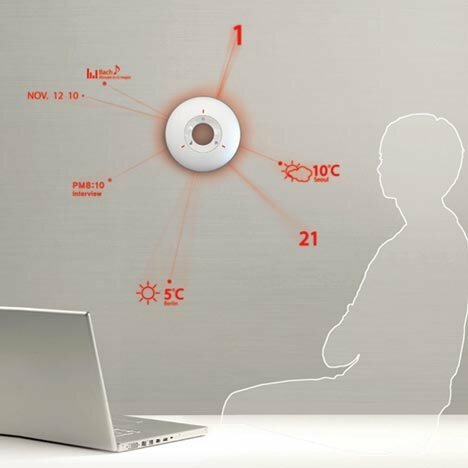 Instead of a face with numbers and hands pointing to those numbers, the clock displays a plain face and projects bright red laser beams onto the flat wall around it to show time, temperature, date and a slew of other data. 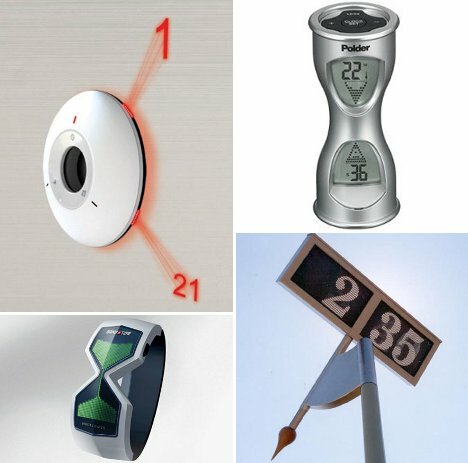 The Digital Sundial goes centuries beyond the basic single function of the traditional sundial. 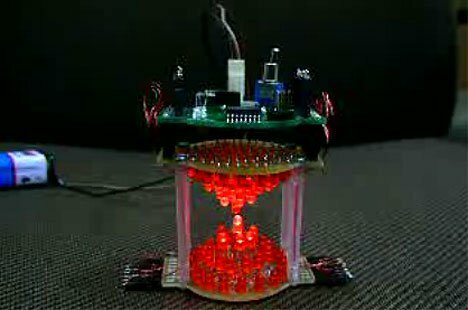 The brilliant LED Hourglass is a student project that uses a 3D array of LEDs to simulate the falling of sand from top to bottom. 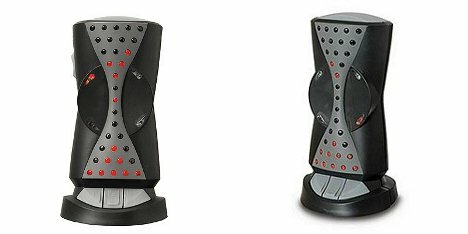 An integrated accelerometer tells the device which end is on top and the red lights reset themselves accordingly, then begin to “fall” slowly. 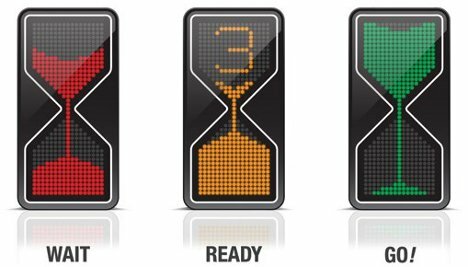 Although a full-scale overhaul of the traffic light system may not take place in our lifetimes, this Hourglass Traffic Light concept seems like it would be ideal for just such an overhaul. The tri-color system tells you just how long you have to wait for every phase of the light: how long you have to get through the green and yellow lights, and just how many more seconds you can fiddle with your phone before the red light changes back to green.